Mushroom Farming: Mushrooms are highly nutritious and in high demand thus attracting more farmers in the venture. Mushrooms do not need plenty of land or rainfall as other crops. They can be grown even in huts as long as tone can control lighting, temperatures and humidity. They are a better option for those with little or no land. The practice only requires a house and attention, to reap maximum profit. National Farmers Information Service (NAFIS), a forum that provides information to farmers across the country— indicates that Kenya produces 500 tonnes of mushrooms against an annual demand of 1200 tonnes for homes and hotels. Mushroom farming has been viewed as a complicated venture that requires skill and knowledge thus scaring away small-scale growers. However, with continuous seminars and studies, some farmers have learned and successfully domesticated the procedures employed by the large scale producers. Thirty-year-old Zacharia Mwangi, of Juja, Kiambu county started growing mushrooms in 2012 and focuses on the button variety. “I started with oyster variety but later shifted to button because it fetches more profit compared to oyster,” says the father of one. Before, he was employed by Juja Community, an organisation dealing in mushroom farming. When he was confident he had enough knowledge, he quit the job to start his own farm. Armed with Sh30,000 he bought spawns (spawn is the carrier on which the mushroom species grow), ready to plunge into the business with 500 bags. “After 40 days I harvested my first produce which was promising. Within six months I had Sh50,000 profit and that is when I decided to shift to the button variety,” he says. He started off with 200 bags of button variety which he has since increased to 500. When asked the difference between the two varieties, he says button mushroom is grown exclusively by large-scale farmers since its cultivation is sophisticated while oyster is favoured by small scale farmers but the trend is changing. “I prefer button mushrooms because they fetch better price than oyster. A kilo retails at an average of Sh 500,” he said. He says that button mushroom, also known as champignon is a secondary decomposer i.e. it cannot feed on fresh substrate but instead the substrate (surface) must be decomposed first. 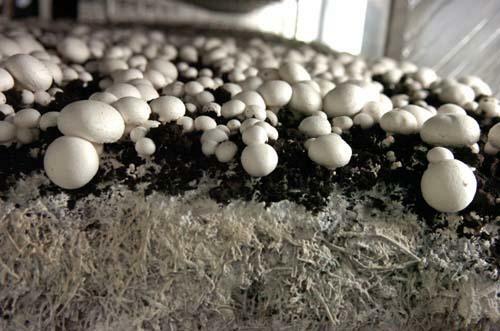 “The main substrates for button mushroom production are rice straw, wheat straw and sugarcane bagasse. Other types of substrates cannot be standardised for use,” he said. Double produce He has employed one assistant but on busy days he gets five workers. In a good month, he harvests up to 100kg and 50 kgs when production is low, making between Sh25,000 and 50,000. “The good thing about this farming is that you get double what you used for production. Besides, the harvesting is done every other day to ensure that one does not go out of stock,” he says. However, Mwangi notes that, the biggest challenge facing the sector is lack of research and the mushrooms are perishable. “There is need for research that focuses on feedback from farmers. 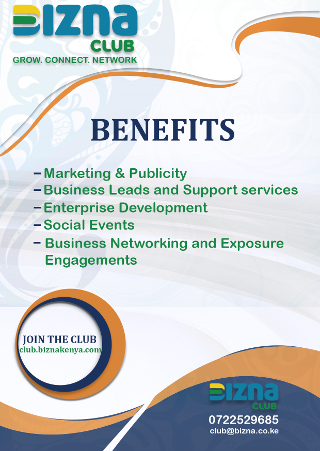 Most of the challenges that Kenya is facing in mushroom production, are also elsewhere in mushroom growing regions. He says the farming only needs good management to ensure high produce, in both small-scale and large- scale farming. The quality of spawn also determines the final product. “There is a huge demand market, hence a great potential for profitability,” he concludes.